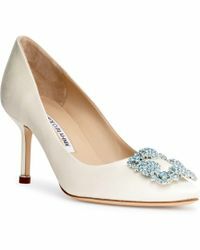 Manolo Blahnik's career was launched after a chance introduction to Diana Vreelad, then editor-in-chief of American Vogue. His first shoe collection was designed for Ossie Clark in 1972 and since then he has been coveted by women globally. 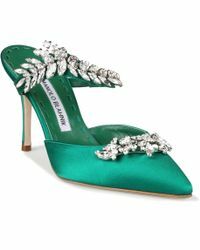 Offering the highest, artisanal quality, with handmade detailing, Manolo Blahnik's all-encompassing passion for footwear is shown through his sleek and seductive aesthetic. 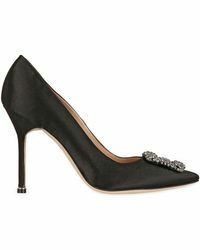 Key silhouettes include the ever-popular Hagisi, Collette and Nadira pumps.